In September of 2018, an anonymous New York Times op-ed rocked the White House. The article was reportedly written by a senior Trump official who considered themselves part of the resistance. The identity of the official was never revealed. Kirstjen Nielsen penned a resignation letter yesterday as she left her Secretary of Homeland Security position. Based on similarities between the op-ed and the resignation letter, CNN’s Josh Campbell posits that Nielsen might have been the rogue official. As a trained investigator, I’m just going to go on record now saying that anonymous NYT op-ed was LOADED with commas and em dashes. 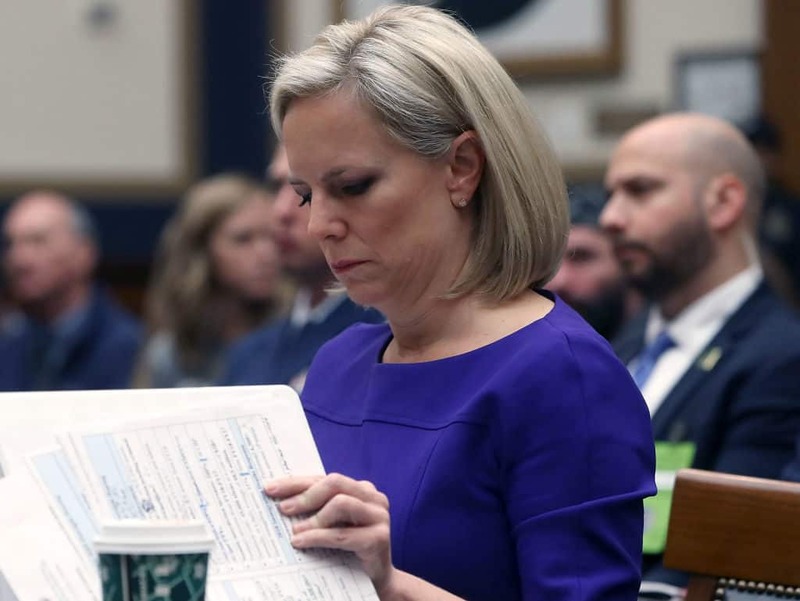 Nielsen: "And we have ramped up security measures…"
Anonymous NYT op-ed writer: "And we are trying to do what’s right…"
Nielsen was known to clash with Trump over numerous border issues. She lost her top ally when former White House Chief of Staff, John Kelly, departed in January. The last straw came this weekend when Nielsen went to discuss border plans with the president. That meeting ended with the Homeland Security chief tendering her resignation.